Camas, WA, February 26, 2019 --(PR.com)-- Dr. Carol Parker Walsh, award-winning consultant, TEDx speaker and business and career coach to professional women, has been accepted into Forbes Coaches Council, an invitation-only community for leading business and career coaches. Dr. Parker-Walsh was vetted and selected by a review committee based on the depth and diversity of her experience. Criteria for acceptance include a track record of successfully impacting business growth metrics, as well as personal and professional achievements and honors. 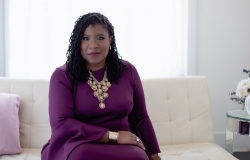 As an accepted member of the Council, Dr. Parker-Walsh has access to a variety of exclusive opportunities designed to help her reach peak professional influence. She will connect and collaborate with other respected local leaders in a private forum. Dr. Parker-Walsh will also be invited to work with a professional editorial team to share her expert insights in original business articles on Forbes.com, and to contribute to published Q&A panels alongside other experts. Finally, Dr. Parker-Walsh will benefit from exclusive access to vetted business service partners, membership-branded marketing collateral, and the high-touch support of the Forbes Councils member concierge team. "I am beyond thrilled and honored to be joining such a valued and valuable community of experts. Not only will I have the chance to share my expertise from my years as a organizational consultant, executive coach, career strategist and personal branding expert, my participation will further cement my role as a global thought leader in my industry." For further questions, you can reach Dr. Carol Parker Walsh at 360.606.9595, info@carolparkerwalsh.com. To learn more visit http://carolparkerwalsh.com.